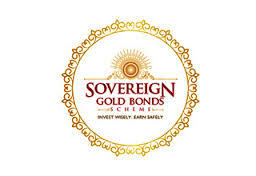 Government of India, in consultation with the Reserve Bank of India(RBI), has decided to issue Sovereign Gold Bonds 2016-17–Series IV. Applications for the bond will be accepted from February 27, 2017 to March 03, 2017. The Bonds will be issued on March 17, 2017. The Bonds will be sold through banks, Stock Holding Corporation of India Limited (SHCIL), designated post offices and recognised stock exchanges viz., National Stock Exchange of India Limited and Bombay Stock Exchange. Minimum permissible investment will be 1 grams of gold. The maximum amount subscribed by an entity will not be more than 500 grams per person per fiscal year (April-March). A self-declaration to this effect will be obtained. In case of joint holding, the investment limit of 500 grams will be applied to the first applicant only. Price of Bond will be fixed in Indian Rupees on the basis of simple average of closing price of gold of 999 purity published by the India Bullion and Jewellers Association Limited for the week (Monday to Friday) preceding the subscription period. The issue price of the Gold Bonds will be ` 50 per gram less than the nominal value. Payment for the Bonds will be through cash payment (upto a maximum of Rs. 20,000) or demand draft or cheque or electronic banking. The Gold Bonds will be issued as Government of India Stocks under GS Act, 2006. The investors will be issued a Holding Certificate for the same. The Bonds are eligible for conversion into demat form. The redemption price will be in Indian Rupees based on previous week’s (Monday-Friday) simple average of closing price of gold of 999 purity published by IBJA. Bonds will be sold through banks, Stock Holding Corporation of India Limited (SHCIL), designated post offices as may be notified and recognised stock exchanges viz., National Stock Exchange of India Limited and Bombay Stock Exchange, either directly or through agents. The Bonds will be eligible for Statutory Liquidity Ratio purposes. Commission for distribution of the bond shall be paid at the rate of 1% of the total subscription received by the receiving offices and receiving offices shall share at least 50% of the commission so received with the agents or sub agents for the business procured through them.